Break the cycle of feeling stressed out and hunched over your computer! Office Yoga sessions are designed to not only give you a much-deserved break, but also to help you slow down, regain focus, breathe and stretch your weary muscles - right at your desk. Its appropriate for all ability levels and easy to follow. Take as little as 5 minutes for yourself and watch your mood, productivity and creativity instantly improve. When most of us talk about yoga, we're talking about Hatha yoga. ‘Hatha' is the combination of two Sanskrit words: Ha meaning Sun and Tha meaning moon. As a concept, Hatha represents the balance of opposites - hot and cold, fire and water, male and female, positive and negative. 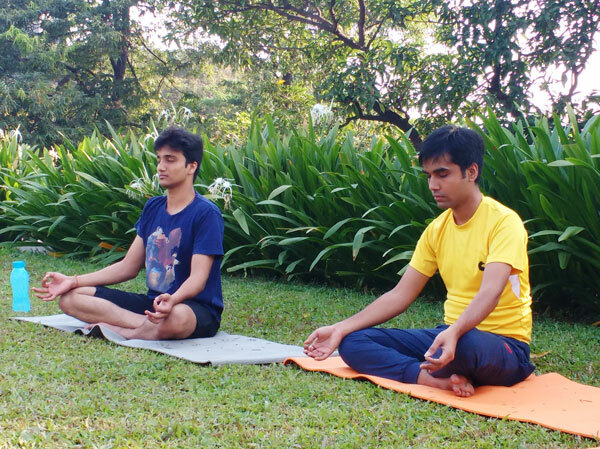 Similarly, Hatha yoga works to balance the energies of the mind with those of the body through physical exercises (asanas), controlled breathing and calming the mind with meditation and relaxation. Cultivate self-awareness & take control of your mind with Pranayama, Relaxation, Mindfulness, Meditation. When your boss needs just a minute of your time, the credit card is overdue, and the kids are late to school, it's time to stop, be more present, more aware and more objective. Experience sessions to be conﬁdent enough to handle whatever life brings, worrying less about the past and the future and enjoying each moment. Whether you feel you can’t meditate or your mind is finely tuned, you’ll find programs that work for you. These practices help you to be a better artist or athlete, student or star, writer or rocker. Learn to be kind, calm and present with the most important people in your life. Especially Yourself. A combination of traditional yoga with dynamic exercises, places demands on all of the muscles, boosting circulation and improving muscle tone. Power yoga is a general term used to describe a vigorous, fitness-based approach to vinyasa-style yoga. Power Yoga puts emphasis on strength and flexibility. The advent of power yoga heralded yoga's current popularity, as people began to see yoga as a way to work out. Teaching is as much about entertaining, inspiring and holding attention of your audience as you are informing them. Make your training or workshops lively, varied, fun and unexpected and your participants will learn more — and be more likely to come back for more. Let's team up and laugh together. W e also provide other wellness services apart from yoga. We can customize the programs as per your requirements. 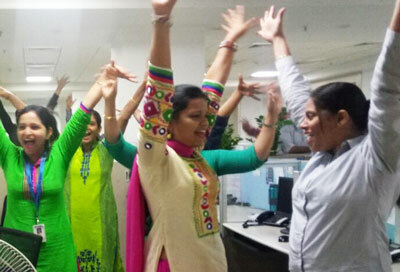 With wellness programs on the rise, we infuse creativity and innovation flourishing to keep our employee wellness initiatives fresh and exciting. 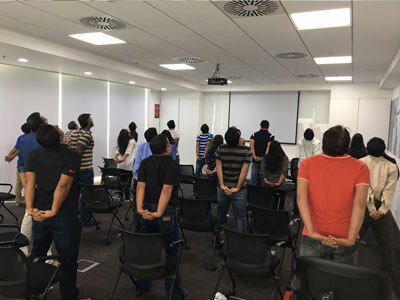 We try to align with the latest work site wellness trends that can be implemented for each organization and industry. We’ll shake things up, get people moving, and bring unique energies to your event! Whether it's offsite employee engagements, team outings or expat visits, we can provide variety of offerings. 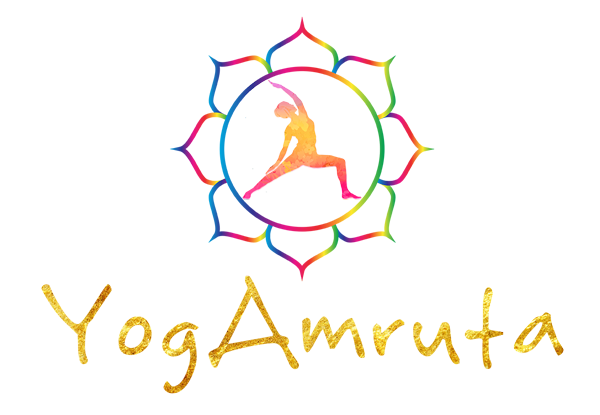 BOOK YOGAMRUTA FOR YOUR EVENT! 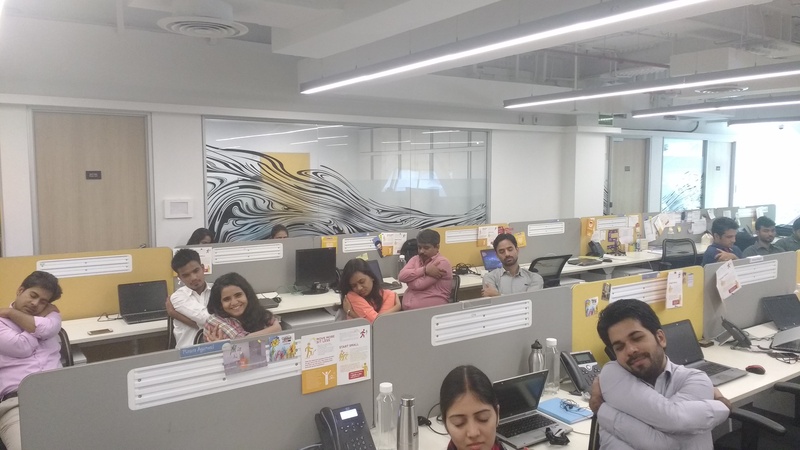 HOW IS YOGA AT WORK EFFECTIVE? We find that 45-60 minutes is just enough time to unplug and reset everyone’s systems without disturbing their schedules. In fact, people report improved focus, energy and enhanced productivity following a 45-60 minute long refreshing break. I'M NOT SURE IF MY OFFICE SPACE IS SUITABLE? The answer is YES, it is! We can accommodate any space. All you need is the chair you’re sitting in. We’ll take care of the rest! CAN THERE BE A SHORT SESSION ON THE FLOOR/ BAY AREA FOR BETTER TIME MANAGEMENT? We understand your needs and have designed programs and modules flexible to be conducted on the work floor/bay area for better time management and benefitting more employees in a given span of time. I'M NOT SURE IF MY CHAIR IS SUITABLE? Yes, it is! We can work with any type of office chair, since office yoga is a highly adjustable and accommodating practice. HOW MANY TIMES A WEEK SHOULD I PRACTICE YOGA? You can do yoga every day, because it’s a gentle practice that benefits both the body and the mind. But the suggested minimum is at least thrice a week. 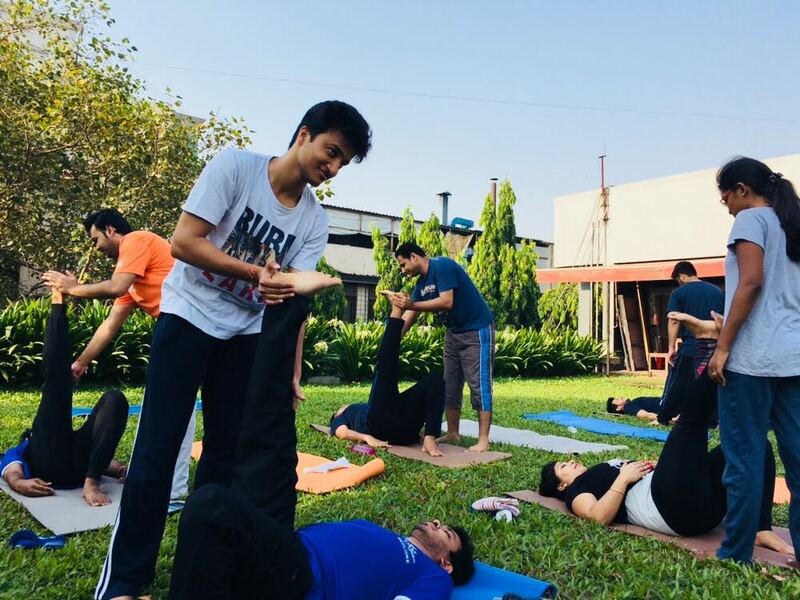 DO YOU ALSO OFFER REGULAR YOGA-ON-THE-MAT CLASSES AND OTHER FORMS OF FITNESS? We sure do! We specialize in Hatha Yoga, Power Yoga, mindfulness, meditation, lifestyle and many fun classes right at your workplace! We also provide other wellness modules especially customized for you. Our programs are designed to cater taking care of all parameters, organizational culture and industry requirements. WHICH OTHER WELLNESS MODULES DO YOU OFFER? Kindly contact us to know more about our wellness offerings.